Let me set the scene for you…I am giving a Benchmark exam: the summative assessment of the whole unit. The listening passage plays, the speaker is speaking, and my children are staring at their tests with expressions ranging from slight confusion to horrified awareness that they have no idea what is being said. The passage ends…my students do not even move. You know how normally they get that look of recognition on their face and hurriedly scribble the answer? Yeah, no. Nada. The passage plays again. My one native speaker quickly writes a few answers. Slowly, my kids kind of shrug their shoulders and start to answer the questions. This continues through the rest of the listening passages, and the reading sections as well. I pass out the writing prompt: I had kids just put their heads down and sleep or turn in blank papers. Blank. I have word walls. I have taught them the emergency plan to beat the rubric when they don’t know how to respond to that particular prompt. At this point, I’m panicking thinking “just write SOMETHING in Spanish so I have SOMETHING to grade!!”Nope. Nada. Lots of nada. The test is over, and my kids leave. I usually score the reading and listening immediately because it’s quick and easy. I didn’t even want to, but I had told them I would have those two pieces in by the end of the day, so I did. The scores start…45. WHAT?!? I checked the key. I checked the scanner. Something has to be wrong. Nope. The next ones were: 60, 45, 50, 75 (yay! ), 30 (really, is that even possible?!?! ), 65…and so on and so forth. By the end of scoring roughly 60 students, my averages for reading and listening were 69 and 70 respectively. I was freaking out. I’m the department chair! I can’t have these scores! I can’t take these scores to share with my department! Do you have to compare data with your department? Yeah, let’s talk about the long walk to that meeting…When I tell you I was trying to figure out how I could mysteriously get sick on the way and get in my car instead, I am not exaggerating at all. *Please note that my reaction was completely ego-driven and NOT AT ALL about my kids. So…needless to say, everyone else’s data was WAY higher than mine. Oh, and this was the meeting that the administrator decided to sit in on because we were comparing data and they like that. Let me tell you, my 69/70 looked pathetic next to the 77/79 and 84/85 of my colleagues. They asked me what happened, and I said “Well, it’s not great, but it’s not that bad considering I was out several days before the test for this and that reason, and I had several kids absent who came back and took the test even though they weren’t prepared because they didn’t come to tutoring, and I have changed some things around and am trying to make them more accountable and obviously they’re not doing that…” I can barely type that without feeling ill. Listen to me putting my instructional failure on the backs of these kids and some inconvenient circumstances. I’m making all these excuses for whom? To what end? Fast forward an hour, and I did finally get in my car. And I cried. A lot. And then I was mad. And then I contemplated quitting. And then I ate ice cream. Please tell me I’m not the only one who has ever felt like this. As I ate my ice cream, I looked back on the weeks leading up to this test. I can tell you honestly that I was just marking time, not really making a focused effort with my planning. I had reasons, but they don’t really matter. My lessons weren’t designed well, my TL speaking in the classroom was nowhere near 90+ on several days, and I was just getting through. I was gone a lot, and I was trying to give them a few more tasks online than I’d done before, and I did have several kids absent for extended periods of time, but mostly it was me not doing my job well. So of course I cried again. I’m pretty dramatic about things. Fast forward another few days, and I still hadn’t gotten over it. We were moving on to the next unit with this terrible taste of failure in our mouths, and clearly no grasp of last unit’s content. Then the most amazing thing happened: I told that story to a very wise woman and she said “So that’s feedback. Do it again.” I said “Yeah, but…” and she said “It’s ok. Do it again.” No drama. No excuses. Nada. Just do it again. I kept thinking about her statement, and that Maya Angelou quote “Do the best you can until you know better. Then when you know better, do better.” So, my problem is, I know better. I know proficiency-based teaching works. I know that I need to use the target language 90% of the time. I know that I need to have daily learning targets and checks for understanding and all of the things. I know that. But this time, I didn’t do it. And my kids failed. Let me rephrase: I failed…and their grades reflected that. So how do you get over an EPIC failure? I don’t know if there’s a right way, but here’s what I’m going to do. Are you ready? I’m just going to do it again…and I’m going to do it better. Monday is coming. I have my feedback. The kids are going to get their feedback from me, and we are going to try again. It really is that simple. I’ve got three parts to my plan. I’m going to apologize to my kids for letting them down and not bringing my best to the table last unit. I’m going to design purposeful lessons that mix in the last unit’s content with this unit’s (it’s all language, right? ), and we are going to rework all the areas that got missed. I’m going to put in more frequent checks for their learning on the specific targets I have, so no one is blindsided by any assessment. Sometimes things happen and we have EPIC failure in our classrooms, but we don’t need to buy stock in Kleenex or Ben & Jerry’s. It’s going to be ok…it’s not that serious…language teaching and learning is a growth process, and as we all know, no student has ever died from bad world language instruction. Hi Rosalyn, what a refreshing post! I don’t know you, but I could hug you for posting about failure. What a testament to every teacher’s absolute need to reflect, a skill that we often skip. Thank you for modeling how powerful reflection can be. Thank you for being vulnerable and brave. Your students are lucky to have you. Nice to meet you! It has been rough recently, and sitting down to think about how to “fail forward” has been helpful. I can tell you that this week has already been better, and my kids responded well to my apology to them. Thanks for the compliments and the hug! It is tough. It’s real tough. Senioritis is a thing that is more real this year than any year I’ve taught. I’m sure why yet, but it affects me as well as them, and I’ve been struggling to want to give when I get so little back from some students. Where I’ve landed on that whole thing though is that I have to do the work and give my best because I’m the adult and the professional. My kids actually need, expect, and want me to do that, even when their behavior suggests otherwise. Thanks so much for the conversation! Let’s go! Thank you and a big hug! 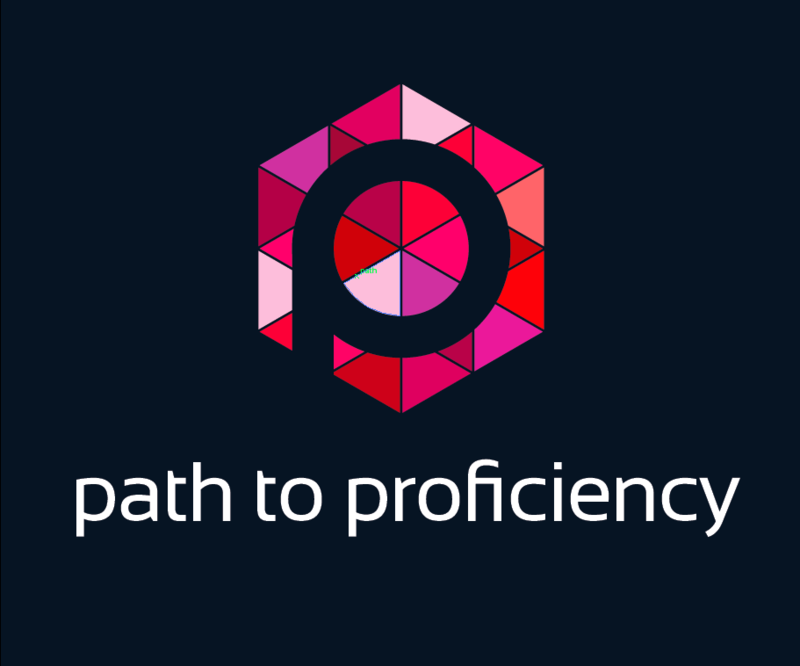 I taught out of textbooks in the early-mid 90s and remember reading Krashen in grad school, at the time “proficiency” was the buzzword but no methods classes taught us the “how” part. Then I took a 19 year sabbatical to be home with my 4 kids and I returned to teaching last August to a small but expanding Christian (upper) school as the first and only Spanish teacher. Please understand I had heard of Blaine Ray and seen a few video clips of TPR and skimmed an old ed. of the “green bible” but had NO training. I was told I had to pick a text, so I went with Realidades, digital version. I have been trying to absorb as much PD as I can through blogs and FB, YouTube, and I have been largely overwhelmed and in many ways unsuccessful since I lack the training. Thanks, Internet–when I last taught we didn’t even have email on campus. Just the tech possibilities alone are overwhelming! I know I need to slow down and repeat but I have a hard time thinking on my feet and when I am in a bind, I revert to what I know, which is so boring, ineffective, etc. I am begging the school for funding for summer conferences–at least 1, I hope. Anyway, I really appreciate your self-examination and public confession because we are all human. I love that quote from Maya Angelou and also this gem from Thomas Edison: “I have not failed. I’ve just found 10,000 ways that won’t work.” Perhaps not quite as applicable to facilitating language acquisition but affirming, nonetheless. It’s a step by step process, for sure. Finding good blogs, reading a lot, and being present on Twitter and other social media has really helped me in the last few years. We really are a pretty awesome community of educators. I just try to remember that the most important thing is that my students and I are constantly using the target language at the right level for them. When that falls off, we end up with EPIC failure. Keep at it, and thanks for the hug! I can so relate to your post. Thank you so much for your candor! Oh my goodness, I love you for writing this post. So much. Thank you for making me feel normal and for showing me I’m not the only teacher to have EPIC failures. It’s amazing how quickly the pressure gets to us and overwhelms us when these things happen. And I love the quote about doing it again! It’s so easy to just move on and leave the stuff behind that they didn’t really master yet (where we don’t have to dwell on our failure). I like that you’re approaching it head-on, modeling the resiliency skills and grit that students also need to learn. Go you! Thank you! You are NOT the only teacher to have EPIC failures. It’s a rough time of year, of course: we’re tired and they’re tired and we’re all tired of each other. In the spirit of “doing it again”, I’ve decided to loop in more active review games and things that are bringing my unit 3 into unit 4. I’ve designed the activities to where they are constantly moving. It’s been a fun week so far. Keep on! You’re doing great! I think honesty and vulnerability in a PLC is key to it functioning well. Knowing that I can bring my failure to my PLC and get assistance (even though it’s embarrassing for me to do so) is really important. Thanks for the comment. This post is very honest and something we see during common assessments; therefore, this was something I really enjoyed reading because it was meaningful. This post focuses on the importance of creating purposeful lessons that mix in the last unit’s content with this unit’s (it’s all language, right? ), and the importance of reworking all the areas that got missed on a previous exam, which is something I have implemented.